Alexander McQueen Skull Bi-Fold Wallet. 100% Authentic from our Alexander McQueen Collection. Signature logo detail. Eight credit card slots. Color : Multicolor. Multi color leather upper. Two currency slip pockets, two money. 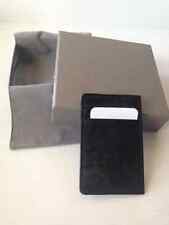 ALEXANDER McQUEEN 'Rib Cage' Embossed Leather Card Holder Taupe/Silver Foil NEW! It's crafted from grained goat leather, and embossed across the front with a typically macabre rib cage motif – one of the label's enduring signatures. It holds four card slots, as well as a central slip pocket. 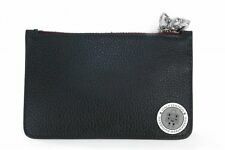 Alexander Mcqueen 327889 Skull Card Holder / Coin Purse Burgundy/black Leather Card Holder - Authentic. Model: 327889. Material: Leather. They do not sponsor or endorse our materials. This list is subject to change without notice.